Excavation: the process of removing dirt and debris to prepare land for construction, is an important building process used since 4000 BC. There are two main types of excavation, namely archaeological excavation and development-led excavation. In the archaeological sense, excavation is the exposure of archaeological remains through delicate processes of digging and brushing away. In the case of development-led excavation, which will be the focus of this article, dirt, trees, and other debris are removed to lay the foundation for buildings and structures. Today, the process of excavation can be done in days, but at one point, it would have taken several weeks or even months to prepare building sites because they didn’t have the machinery we now have. Excavation has been going on since the dawn of time in some form or other. It was used in a primitive sense when early settlers cleared the ground of trees, rocks, and obstacles to build their homes on flat ground. It wasn’t called excavation at the time, but the basic principle was there. It began in the very early days of man, before the use of horses, excavation involved work done by hand. Small plants were uprooted and removed from the area, but they couldn’t build where there were trees because they didn’t have the tools to remove the large plants. The development of tools spurred this work along. The first axes date back as far as 4,000 B.C. These tools were used as both weapons and tools to perform tasks like chopping down trees and firewood. The ax could remove the tree at the stump, but there was no way to remove large stumps for building because they lacked the strength to move it themselves. In the 15th century, horses became mainstream in society for pulling carts and performing other manual labor, like pulling stumps out of the ground for excavation and farming purposes. After a horse hooked to ropes helped to remove stumps, it could also be hooked up to a primitive wooden plow that would smooth out the dirt and remove rocks and other offending debris to create a flat surface for buildings. This is how building sites were excavated for quite some time until the development of more modern day tools like the tractor, which arrived in the early 19th century. Once it was determined that drawn-out farm work could be made simple using this high-powered machine, it wasn’t long before tractors rose in demand in the construction venue. Thus was born the caterpillar-wheeled excavator that could dig massive holes in minutes. It started out as a steam shovel, which was developed at the dawn of the 20th century and was a key part of the production of the Panama Canal. By the 1930’s, a more powerful and efficient diesel-powered excavator had been developed, rendering the steam shovel obsolete. These excavators had the power to dig massive holes in a short amount of time, but there was lack of precision like we have in our excavation processes today. They also weren’t smooth rides and safe fro driving over hills. The cabs looked more like small sheds where the operator would stand or sometimes sit on a fixed chair and work the controls. It was prone to tipping, and navigating steep slopes wasn’t an option. The entire process of development-led excavation is far more efficient, accurate, and fast than it was a century ago. Modern-day advancements have carried forward an incredible work that has revolutionized construction and land development as we know it. 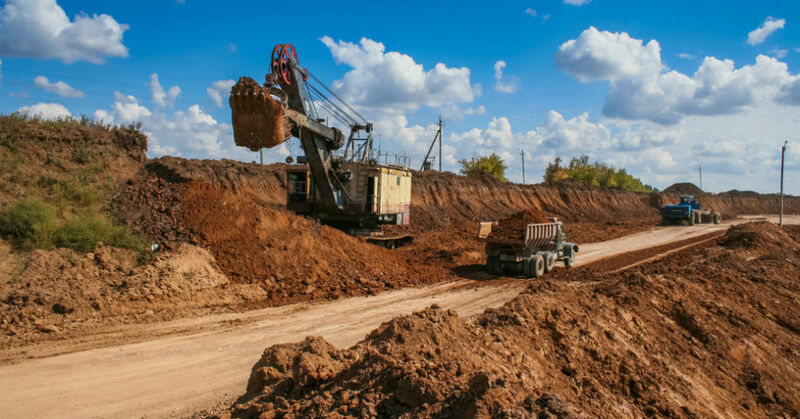 Mass Excavation: The land is removed of trees, topsoil, and other debris before a large hole is cut in the soil. The dirt is hauled away in trucks and leveled by bull dozers and other large machinery. Foundation Excavation: This is done in preparation for laying the foundation. Rather than using a track loader like in primitive times, we use a hydraulic excavator with a laser to perform highly efficient digs and properly prepare the land for development. Trenching Excavation: Digging trenches can be done with an excavator or backhoe, depending on the width and depth of the site needed. This form of excavation is usually done for things like sewer lines, water pipes, electric wires, telephone lines, and communication cables. After the digging is performed, the foundation or product can be installed. The entire process usually only takes a few days depending on the size and depth of the foundation. In the old days, it could have taken weeks for this service to be performed. The tools used for excavation are varied and highly accurate. Thanks to modern day inventions and advancements, the process of excavation has become not only more accurate, but also an art form. The earth that’s removed from the ground must be carted off somehow, and thanks to some modern day machines like the following, we’re able to move the earth without a problem. Another vital tool worth mentioning is the laser. With the help of a thin beam, excavator operators can dig their development holes with precision, creating perfectly square foundations. This makes the foundation of the home more safe and secure. Alongside the laser, GPS and surveying equipment also increases the accuracy of every dig. The process of excavation is incredible thanks to the tools and advancements now available. Technology continues to improve, bringing us the latest and greatest in excavation materials so we can have excellent landscaping and beautiful buildings.